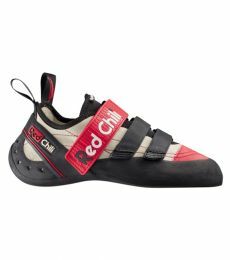 The Red Chili Spirit VCR Climbing Shoe is a comfortable all-round rock shoe for all types of climbing. 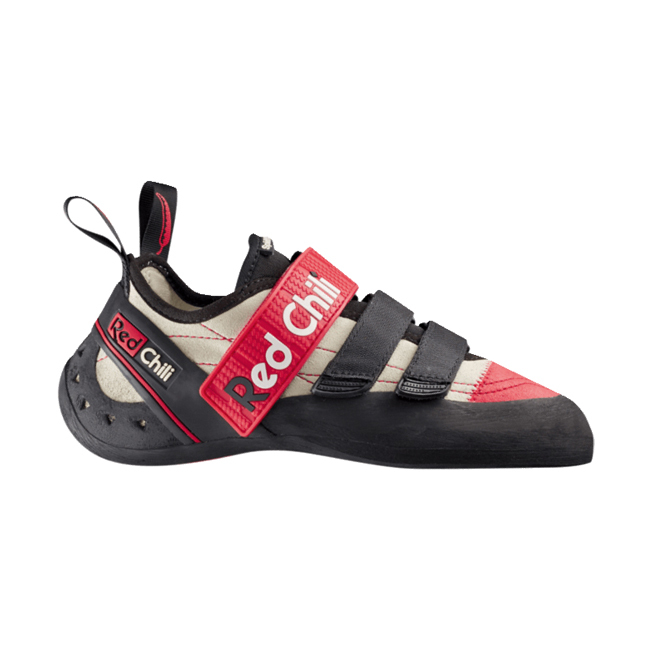 It is ideal for long multi-pitch climbs or as an entry-level bouldering or sport climbing shoe. It utilises the brand’s proprietary rubber, RX2, for the best grip on the rock. The flat, minimally asymmetric profile keeps your foot in a neutral position for all-day comfort. An EVA padded heel cup, leather insole and a padded mesh crossover tongue ensures total comfort when you need to be in your shoes for a long time, as well as easy ons and offs. 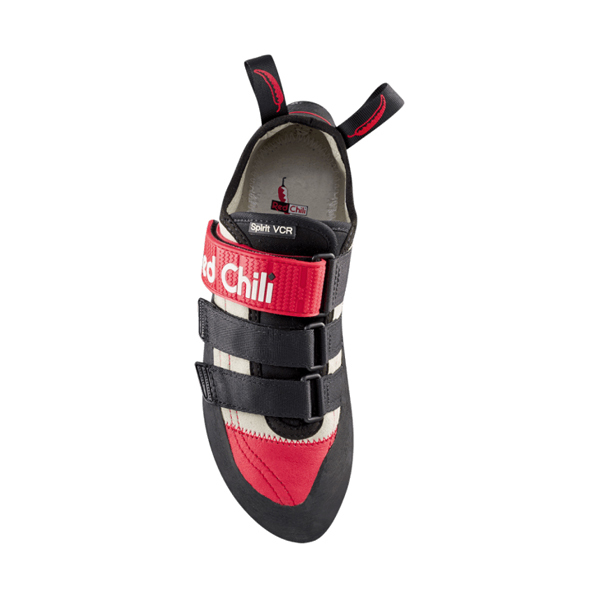 Last but not least, the Spirit VCR rock shoe has three Velcro straps for easy adjustments and even pressure distribution.